Looking for a way to liven up some desk space? 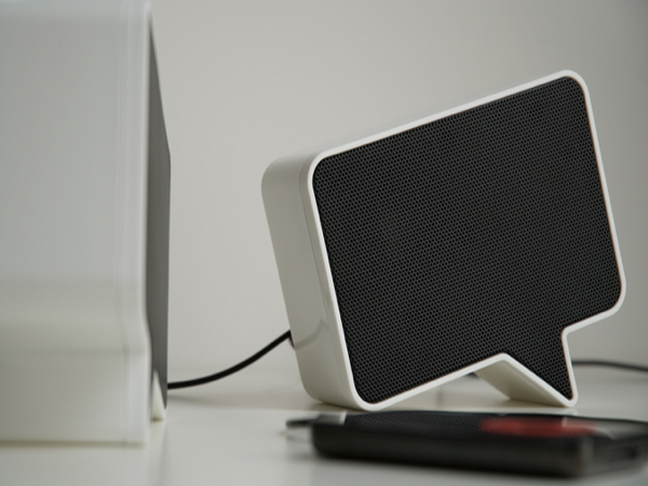 Give your music the proper space to voice itself with a set of Speak-er speakers, perfectly sized for small spaces without losing high quality sound. 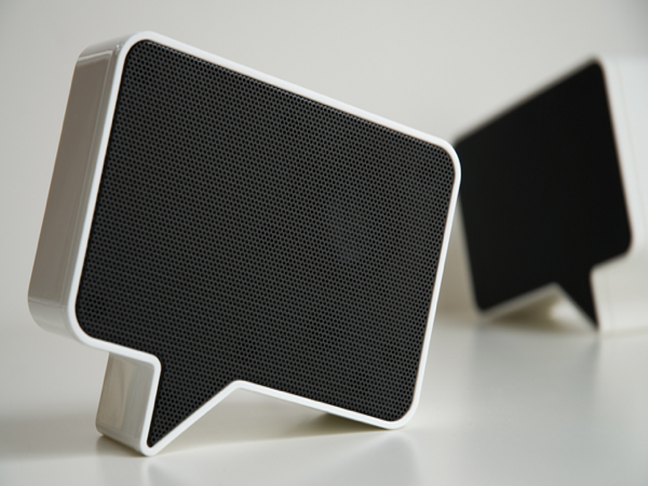 Click past the jump to read more about these conversation starter speakers. If Engadget calls these speakers the “most awesome set of desk speakers this planet has ever known,” you know they must be great. Tech expert approved, we approve! 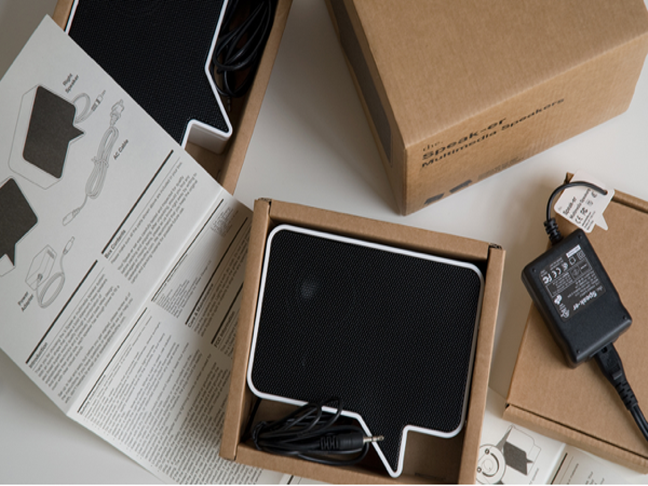 The set comes with two speakers that require very little set up: they have a volume knob, a power input, and an audio input. Simple enough for the least tech-savvy, but sophisticated enough for a fine tuned ear. The Speak-er set is fun and attractive enough for kids and adults to enjoy the same — no age limit here. They measure 4″ tall by 6″ wide, small enough to fit in even the most cramped of spaces. Purchase the Speak-er set for $99.95 from the. Added bonus? Two percent of your purchase is donated to the Mr. Holland’s Opus Foundation.